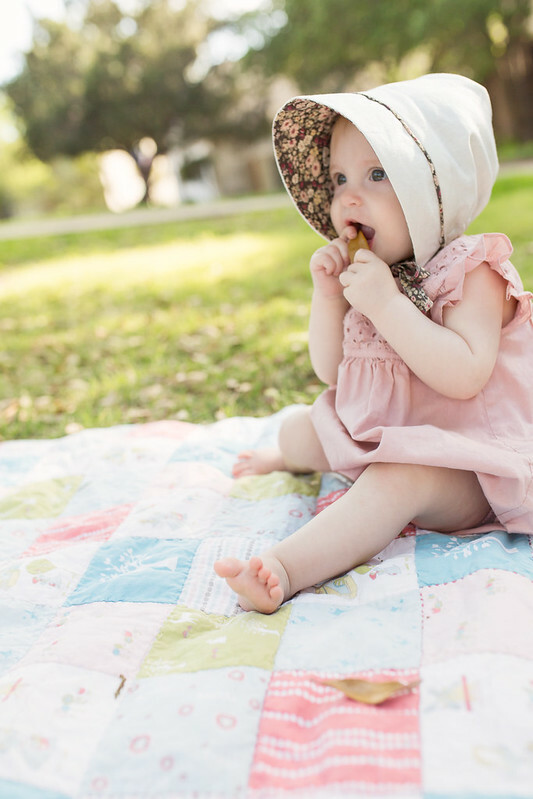 You guys, I have a thing for babies in hats! I can't handle the cuteness! The seasons are changing here and the warm weather is moving in. 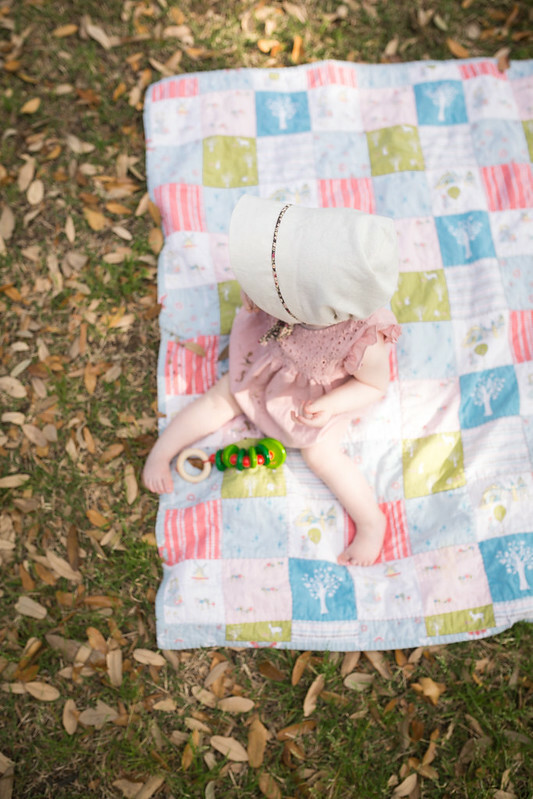 So it was serendipitous and meant to be when Jen sent me her Lea + Lars sunbonnet pattern. Time for a new hat! I actually have not been sewing patterns for other people in recent months because our home life schedule is already so full. Also I got behind on my personal projects for awhile. But I did make an exception for this project because it was just so darn adorable and we really needed one. Hazel has pale, almost translucent, skin. And she is the only one of my girls with blue eyes - another reason I wanted to protect her from the sun. On our morning walks she had been burying her face into my chest because I think the bright Texas sun was a little too intense for her. So this bonnet was the perfect fit for her (literally and metaphorically). 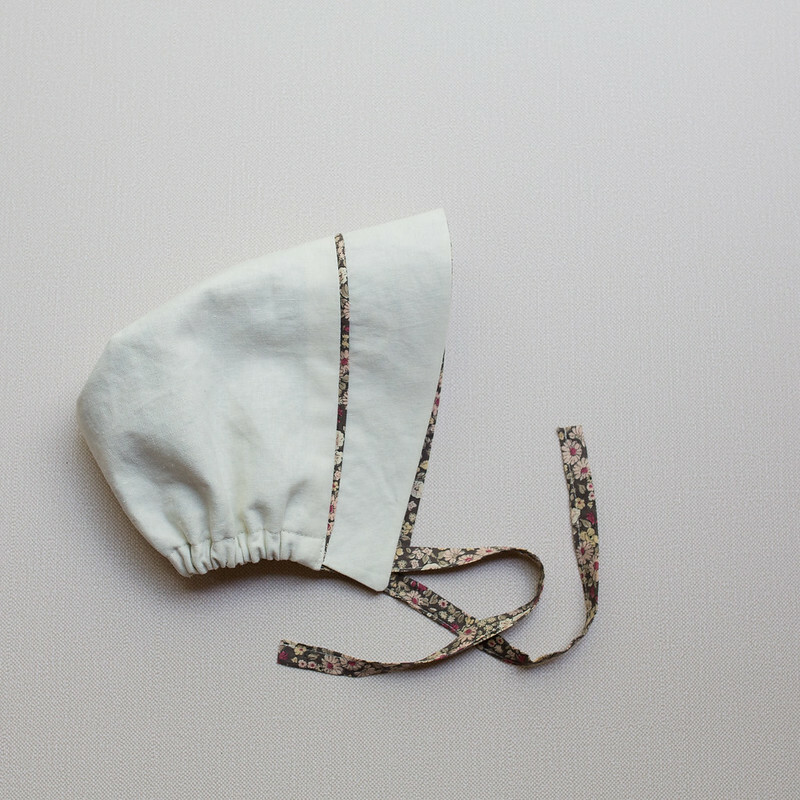 The bonnet is reversible and the finishing is great on both sides. I used a cream linen for one side and a floral for the other. I can't remember where I bought the floral, but it feels like a voile and the salvage says Angel Cheek collection by Yuwa. I got the idea to add piping to the bonnet after seeing Gail's adorable version here. Doesn't Gail have such great taste?! That's obviously rhetorical. 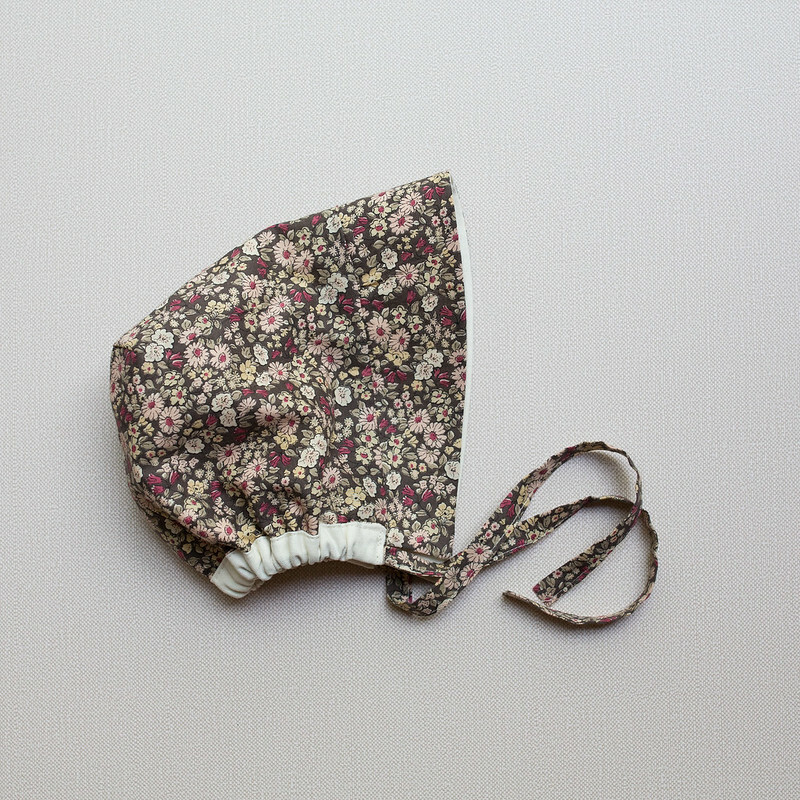 I thought this bonnet was especially cute with the back cinched as tightly as possible. I tried it on for fit and then stitched the casing just behind the opening on each side to keep it permanently cinched like this. Since posting more on Instagram, I missed my 7 month post for Hazel. She's 7 1/2 months old now and is such a love. 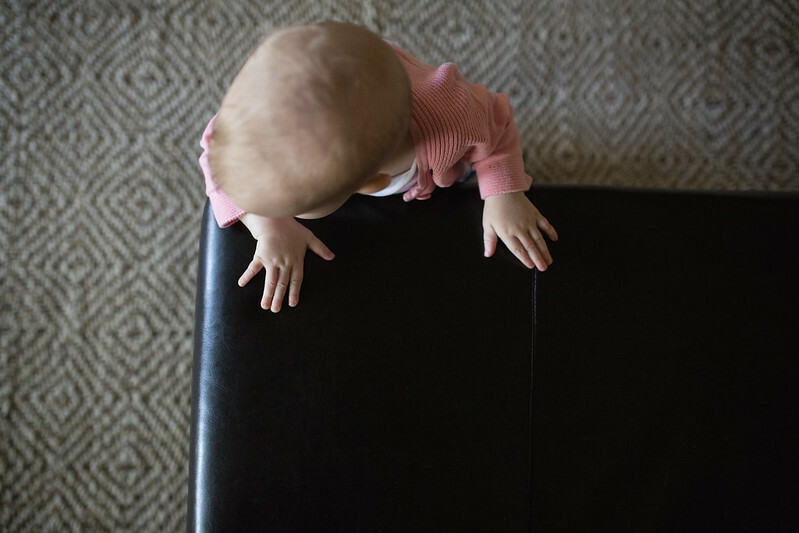 She conquered crawling and is on to the next thing : pulling up to a stand and starting to cruise furniture. A week before she turned 7 months old, she started waving "hi" (I posted a little video of it here). I just couldn't believe it. My other babies were more like 10 months old when they started waving. But sure enough, it was true! The kids tease and call her a show off because she waves at everyone she sees. Jude taught her the sign for 'fan' and 'light' and she tries to do to the signs when she sees lights or fans. She also tries to imitate the kids when they play rock-paper-scissors. It's so adorable. I say, let's hear it for older dads. I guess I shouldn't generalize, but Dan is incredible. In addition to being so wise and interesting (two of the reasons I fell so hard for him!) he also has the life experience to know how quickly the time goes. So he really, thoroughly enjoys them and is so gentle and patient with them. Every day he tells them how much he loves them. He was a great dad in his 30s but is an even better dad in his 40s. I tell him he's like fine wine; he only gets better with age! :) Our kids are so blessed to have him! 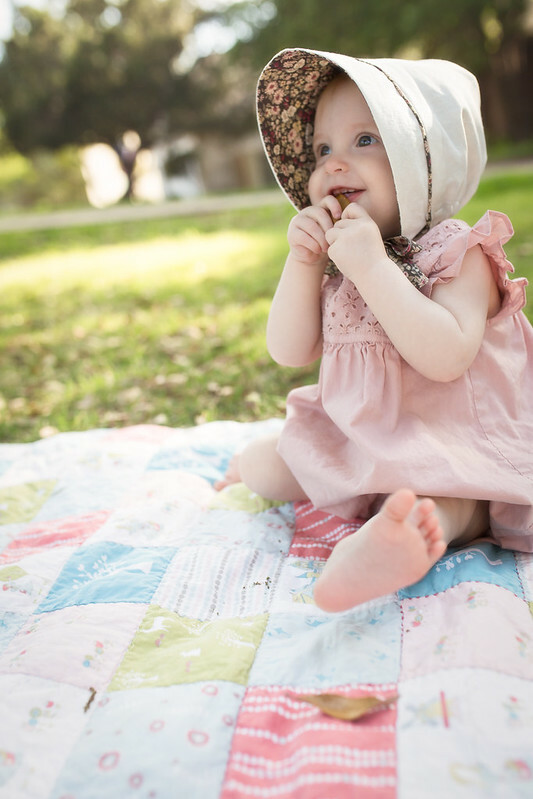 I totally have a thing for babies in hats, too! They are irresistibly adorable. Such a beautiful bonnet for your smart sweetheart. My new baby girl is just a couple weeks younger than Hazel - can't believe how fast they're growing up already. I think it's a great gift idea, for sure! Yep cuteness overload alright. Not that I was seeing anything other than cutie Hazel, but I really like your rug too! I really like it with the elastic casing! 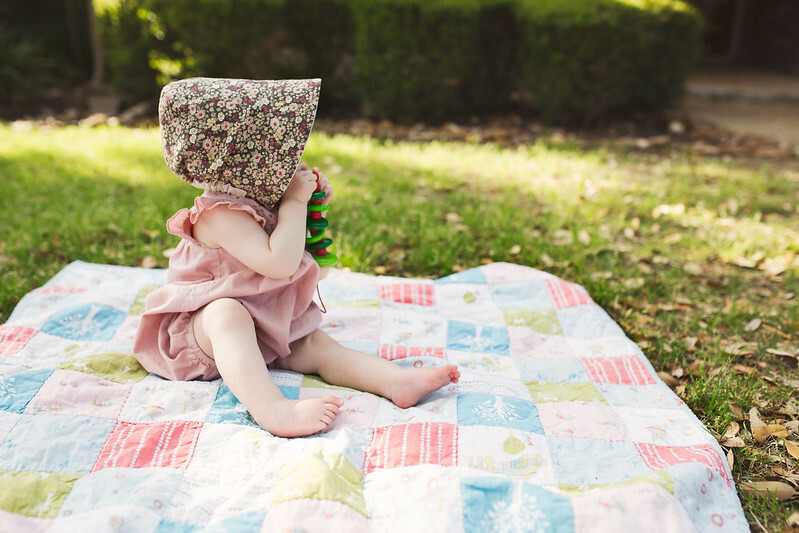 Filing that idea away for any potential future sunbonnet makes. The fabrics are also so beautiful. Hi Masha, It's actually not elastic, but it's the ribbon which is threaded through and pulled tight. Even easier! :) It's such a fast project! Oh, I know: BONNETS. 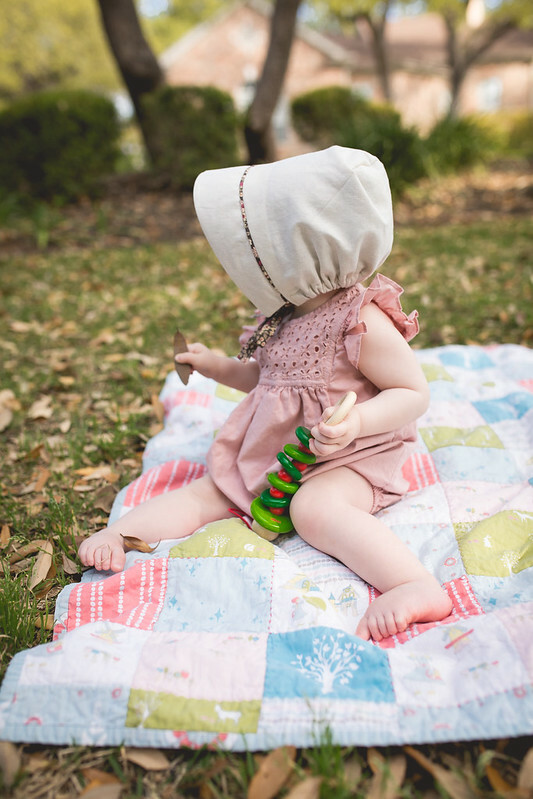 There is nothing in this world more darling than a baby in a bonnet. It is a hard objective fact. It cracks me up that you're even joking about a 46 year old dad being "old" - I think it's the circle we're in, but that seems pretty average to me. An "older" dad would be like, 60 or something. Not 46! (Steve was almost 40 when we had Joe, btw. I am almost 39 now! Eeesh.) But I didn't read the studies maybe they defined "older" as older than 35 or something (like how I was at an "advanced maternal age" at 35 kill me now). Hazel is just gorgeous! And obviously very bright and capable! Oh may I just add my 2 cents worth into this convo? 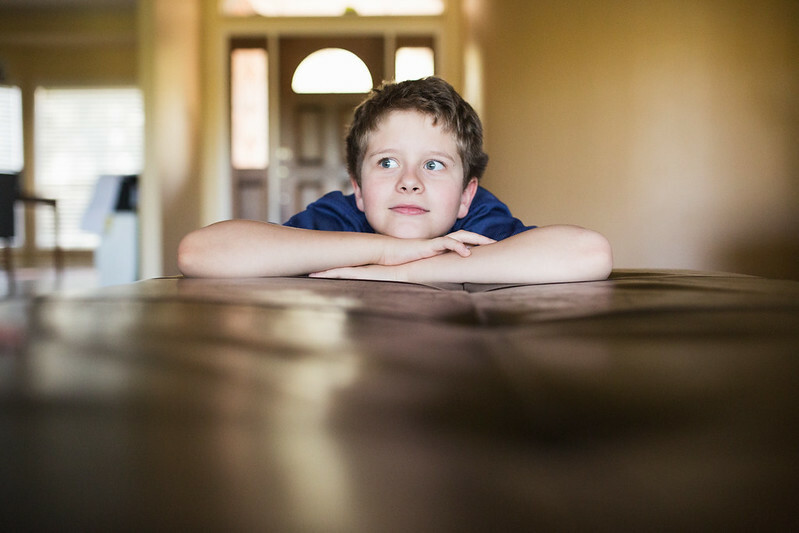 I find it interesting how 'old parent' is defined in different corners of the globe. I had R when I was 31, and back in Russia I would have been considered an older mum. Here in Oz I was in majority in my mum's group. Go figure! So adorable! Love the addition of the piping! Thanks again for giving this pattern a try! I had all my babies by the age of 31. When I was about 37, I wanted another but then changed my mind. Enjoy that lovely weather. I can't wait for summer! 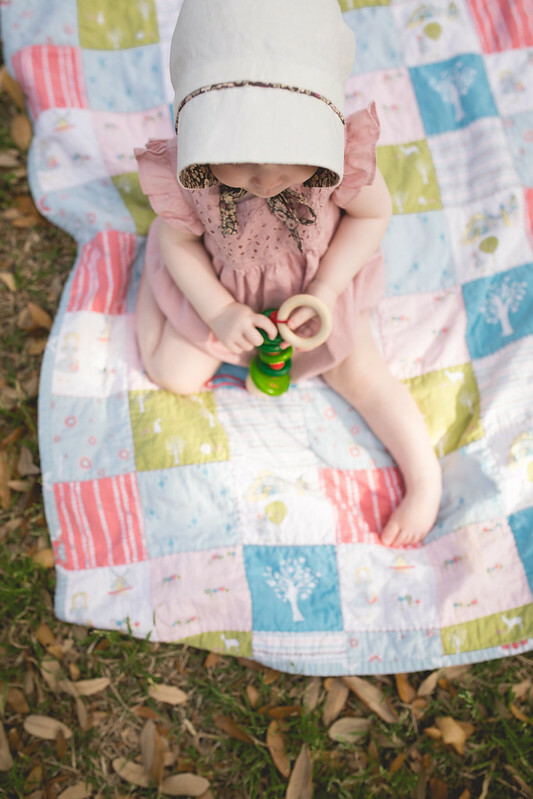 Ahhhhh I didn't start sewing until E was one, so I never got to make her a baby bonnet! This is just the CUTEST EVAR on her. Perfect fabric choices! My mom had me when she was 22. I had E when I was 26, so I feel "older" because I was older than she was, but still, B and I are some of the youngest parents at her school now! It's crazy how much that's changed. So, so sweet! The baby and the bonnet! The quilt she's sitting on is lovely, as well. 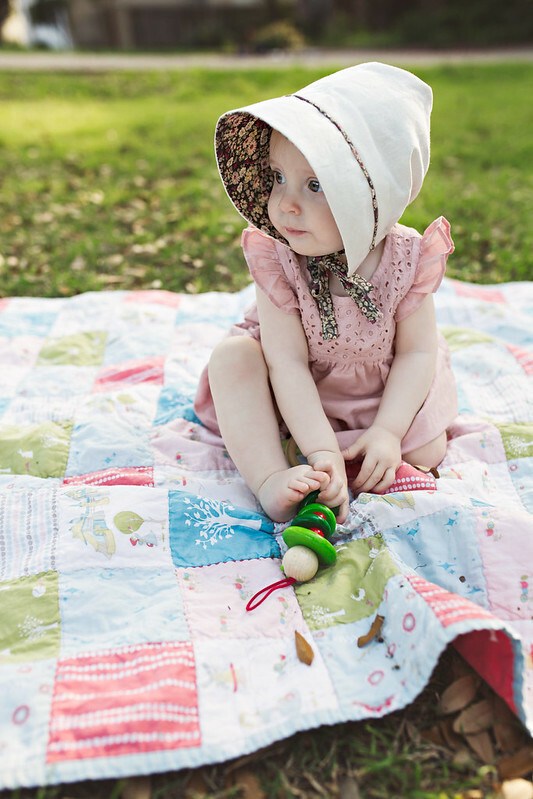 If only I'd started sewing when E was younger, she could have had some adorable bonnets. The sunbonnets are so lovely and romantic. You have a beautiful blog and you are sewing very nice clothes.